Andre Picard’s headline in yesterday’s issue of The Globe and Mail states: Saskatchewan should declare HIV-AIDS public health emergency. The article was precipitated by the courageous call for action by a group of Saskatchewan physicians and CoM faculty members and their coalition of patient and clinician colleagues. These physicians include Dr. Steve Sanche, Dr. Kris Stewart, both infectious disease specialists, and Dr. Ryan Meili, family physician. In fact, the HIV infection rate in Saskatchewan is 13.8/100,000 which is almost double the national rate of 7.8/100,000. Even more troubling is the rate among our Aboriginal population on reserves, where the rate is 64/100,000. And these are all likely underestimates, as, although testing has increased somewhat, many at risk people remain untested. These CoM faculty physicians are not the only ones calling on the province for action. Canada and Saskatchewan were in the spotlight in July at the 21st International Aids Conference in Durban, South Africa. Dr. Stuart Skinner, an infectious disease specialist and CoM faculty member in the Regina Qu’Appelle Health Region (RQHR), advocates for improved HIV testing and care in an earlier article in The Globe and Mail. Dr. Alex Wong, another Infectious Disease Specialist, researcher and CoM faculty member in the RQHR presented The Developing World in Our Own Backyard: Concentrated HIV Epidemics in High Income Settings in 2015 at the International AIDS Conference on HIV Pathogenesis, Treatment and Prevention in Vancouver. According to Maclean’s Magazine, he sometimes calls this presentation Africa on the Prairies. What these physicians are saying is incredibly important for the people of Saskatchewan, those at risk for or suffering from HIV-AIDS and our Aboriginal communities, which are disproportionately affected by this horrible disease. They are also being incredible role models for our learners. 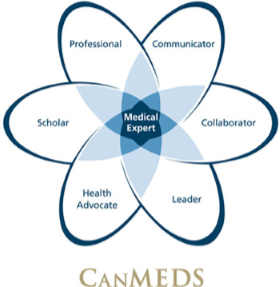 CanMEDS, our national medical curriculum framework, was first advanced by the Royal College of Physicians and Surgeons and is increasingly being adopted around the world as the basis for medical curricula. The CoM has had a long history of advocacy, starting with our first dean, Dr. Wendall McLeod, who was a great supporter of Tommy Douglas and the birth of Medicare in Saskatchewan. Our college is replete with current demonstrations of health advocacy: our Global Health Certificate, our Making the Links program, our Department of Continuing Medical Education and our Division of Social Accountability with our refugee health conference this spring, and many more examples. Our students demonstrate the same commitment to advocacy with their student run clinics, SWITCH and SEARCH, and the amazing student led conferences on Global Health and Health Innovation and Public Policy. Kudos and thanks to all of these physicians for their work in health advocacy and thank you for being such excellent role models for our students and residents. It is moments like this that I know we are a great medical school and an incredibly important asset to Saskatchewan. As always, I welcome your feedback and thank all for their commitment to the CoM.